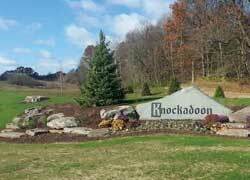 Lifestyle and Luxury are offered with this executive home site development located in Blue Ribbon Awarded Rockford Schools.Knockadoon provides you with close proxinuty to world class shopping, dining, picturesque downdown Rockford, Cannonsburg Ski Area, phenomenal health care and so much more! 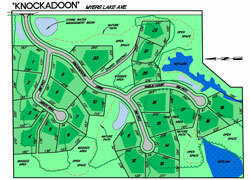 Each distinctive lot has a seren and private view that offers a possible walkout, pool option, outbuildings, tennis court and a walking path throughout the neighborhood. Award Winning Nugent builders can design your unique and custom home.